Automatic driveway and storefront gates are complicated devices, and there’s not much more stressful than having yours refuse to open when you urgently need to drive somewhere. It can be just as frustrating and infuriating to deal with a malfunctioning system when you get to your store and find your roll up gate stuck. And let's not even talk about wanting to close up shop at night only to find you can't close the roll up door for some reason. Whatever the reason you call us, rest assured that your roll up gate is in good hands with reliable experts who know exactly how to handle everything. Being one of New York's leading service teams didn't come easily to us. Gate Repair NYC has worked long and hard to earn this title, and we've got zero intentions to relinquish it anytime soon. The technicians here at Gate Repair NYC are intimately familiar with the workings and failure points of swinging, sliding, and roll up gate systems, as well as supplemental devices like sensors and intercoms. Regardless of the style of system you own, you can count on us to have the expert knowledge and relevant experience necessary to fix the problem. From broken hinges that require welding to troubleshooting various electric gate opener faults and solving them on the spot. No problem is beyond our capabilities, wthere its an automatic gate or a manual system..
Is your gate operator a LiftMaster sliding chain opener, or a DKS swing actuator? Solar powered, or outlet-fed? 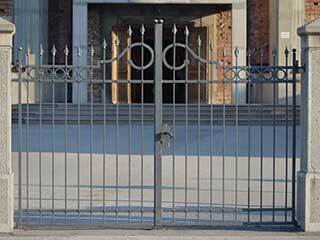 Gate Repair New York works with the products of a long list of trusted manufacturers, including the brands most commonly found on the market, like Elite, All-O-Matic and many more. If you need something replaced, or if you want to upgrade any of the subsystems and replace them with more modern and innovative models, let us help by consulting you on which units are better suited to your needs, and carrying out the installation process at a time of your choosing. This includes not just residential driveway systems, but also roll up gates that guard storefronts. The most vulnerable parts of an automatic gate are the hinges of a swinging design, and the tracks and wheels of the sliding types. Rust, temperature extremes, and physical mechanical trauma resulting from sudden impacts or gradual wear and tear can all eat away at these articulation points, and they’ll eventually need attention. Whether your system just needs a bit of cleaning or welding, or a full track reinstallation, leave it to Gate Repair New York to provide the effective solution you need. Sometimes, damage to your driveway gate can be obvious. Other times though, you might find yourself faced with a surprise malfunction whose cause isn’t apparent. It’s can often be the opener or sensors who are at fault when this happens, but frayed power cables and faulty remote controls are also possible culprits. And let's not even start with the system's other hardware parts. 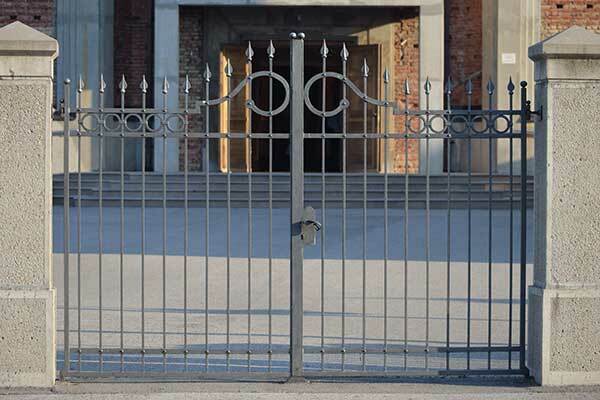 Whenever you find yourself dealing with unexpected problems that keep your gate from behaving the way it's supposed to, don't hesitate – Call us for a troubleshooting session, and let the best professionals in the area identify and solve the problem for you. Contact Gate Repair NYC Today!